Aren’t they beautiful!? 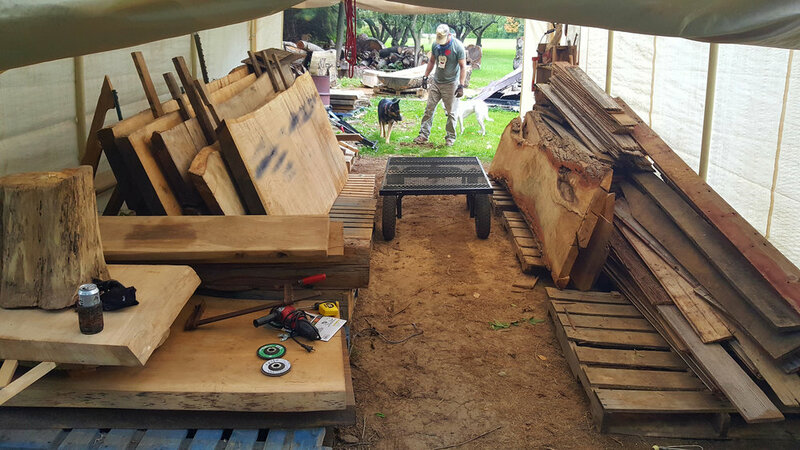 They are all from “upcycled” reclaimed lumber — trees knocked down from storm damage in Michigan or made out of salvaged barn beams or barn doors — courtesy of Tomahawk Reclaimed Lumber Co. These tables and benches we ordered were going to be ground up into wood chips! We saved them from that fate. In addition to helping protect the environment, did you know that old growth wood is more stable than newly harvested wood because it has been exposed to more changes in humidity over time? Also, we think these benches and tables make our food taste great!